The Ronin Katana Hammer Forged Blade Review is the 3rd part of my intensive Ronin Katana Review series. Once this review is a complete I'll provide an overview of my findings of the Ronin Katana range and my honest ranking for each of their blades along with my recommendations. This blade was ordered alongside my Elite (review here). So my first impressions and my initial intake and review for this and Elite were literally performed minutes after each other so I was able to get great comparisons. And speaking of comparisons I purchased this blade first - in order to contrast it with the sword I hold in near highest place, the Tori Elite XL Light from Paul Chen. Funnily enough, when I spoke to Chris in Ronin about my purchase plans he felt the Elite would be better suited to me, but given the Tori is a mono-steel folded blade I felt the Hammer Forged which is also mono-steel and folded would be a better and more accurate comparison then the Elite which is a 7 Panel lamination blade. But then I decided, what the hell, why not review the entire top end range and picked up the Elite as well. You can see how that went - here. 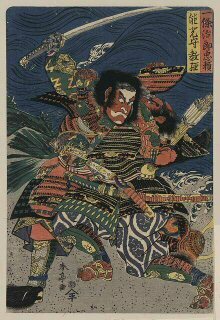 As in my Elite, rather than focus on the history of the Ronin Katana company I'll focus on the historical aspects of the blade itself. One thing I would like to note however is that these blades are quite rare. These blades were made under the personal supervision of Chris Scoggins, the director of Ronin Katana. Further, there are only 2 people making them and Chris receives only 20 blades every 2 months, mostly bare blades and few receive full mounts such as mine. In fact this year only 8 received that treatment. 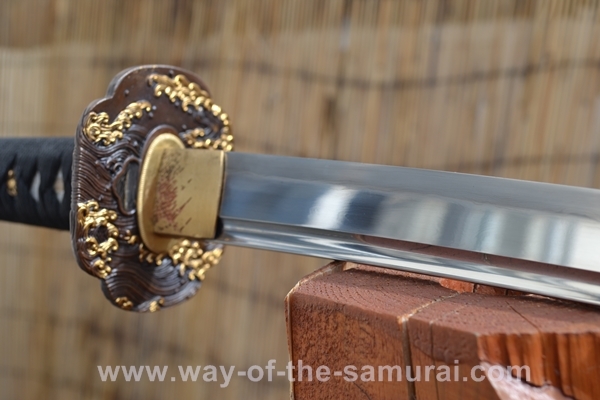 I've covered the initial history and development of the sword on my site here and here - however I want to address some specific aspects of blade construction not covered in much detail in those articles as it's relevant in understanding this blade. 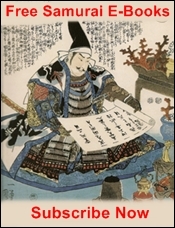 Traditionally Japanese smiths use a steel known as Tamahagane (玉鋼), produced from iron-rich sand. This sand is smelted and broken down into iron ore and slag through a clay and brick smelter known as a tatara. This construct fires the steel, the smith watches the flames colours to assess the heat and they watch intently over many hours. Eventually the smith will deem the time to be sufficient and they'll destroy the furnace revealing chunks of iron. The smith will then assess these chunks and decide which shall become a blade. This was a revolutionary process back in the day - however - it didn't produce perfect steel. In fact there was a great deal of impurity in the tamahagane steel produced and it is filled with the uneven dispersal of carbon (the vital ingredient necessary to turn iron to steel). 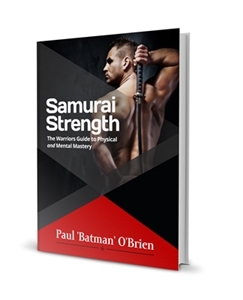 The ancient Japanese smiths though developed a profound and highly skilled method for beating out these weaknesses - they folded the blade. Folding the blade not only works out slag and impurities in the metal, it also even's out the carbon throughout the steel. With experienced a smith can control the quality of the steel with great accuracy using these methods. Each time the block is hammered out and folded back, layers are formed. By folding only fourteen times, over 16,000 layers are produced. These layers produce jihada or patterns like fingerprint swirls or wood grain in the metal, a unique beauty of the Japanese blade and one of the features for which they receive great acclaim. 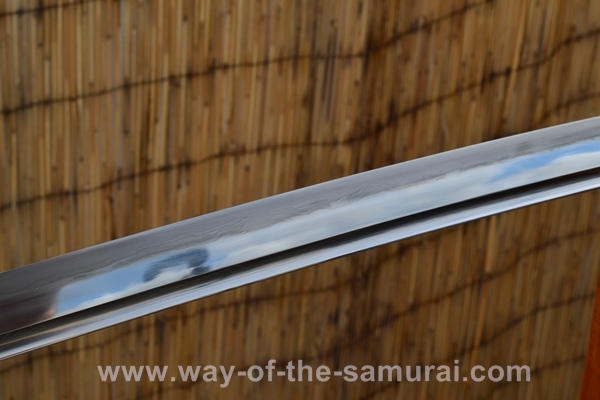 When the blade is finished, the jihada is visible in the ji, the surface between the edge and ridge-line. 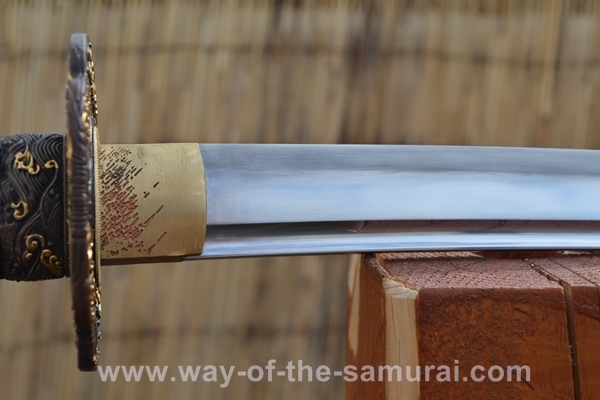 The smith can choose specific jihada, such as masame (a straight grain parallel to the edge) or ayasugi (concentrically curved grain), by adjusting the direction in which he folds the steel. By folding the block can be folded repeatedly in the same direction, in alternate directions, or crosswise, the talented smith can create art in lethality and create a different pattern or grain in the blade. This process became the stuff of legend - with many claiming this would be repeated hundreds of times - that simply wasn't the case. 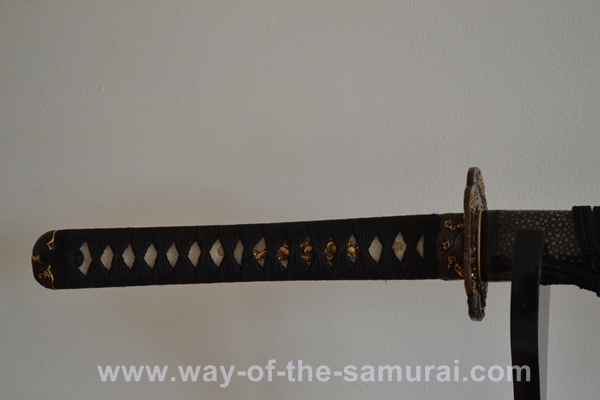 Even today some katana are advertised of having 30 folds of steel. This is pure non-sense and fiction. 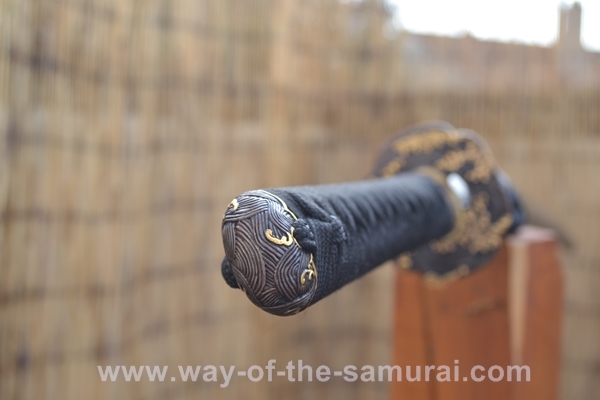 Typically the average Japanese sword has between 13-15 folds creating a steel bar with a carbon content of 0.7% - the ideal amount of carbon for a Japanese blade. Now that's all well and good for the traditional Japanese who were stuck with inferior iron sand, but today we have much stronger, purer steel? So why fold today? Part of the appeal if for collectors such as myself who want a traditionally made blade, others want the artistic appearance and to see the play of the steel in the unique art that is jihada. Polish:Traditional Japanese finger stone polish. Saya:Hand cut and polished buffalo horn Kurikata, Koguchi and Kojiri. The tsuba is exposed by the bag and as I'd later see suffered some minor cosmetic damage likely as a result. The over tsuka was beautiful, delicately tapered and looked well wrapped...however some immediate issues jumped out - some cosmetic and then - what would be the first flaw in the Ronin 2013 blades I'd seen...and something that perhaps set me on alert for a closer inspection of the Ronin Elite which I would open next...let's take a look at these issues and the remarkably positive aspects of this blade too...can they overcome the flaw in the blade....? Uniquely beautiful. 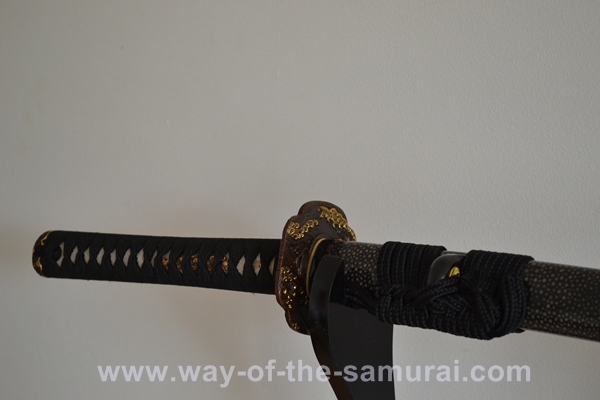 The remarkable fittings, the excellent tsuba embellishments and design combined with a full same wrapped saya and the artistic cat scratch habaki combined with a folded mono-steel blade - just stunning....on this alone the Ronin Katana Hammer Forged Blade Review is getting giving good marks. The Saya is a well carved and well. 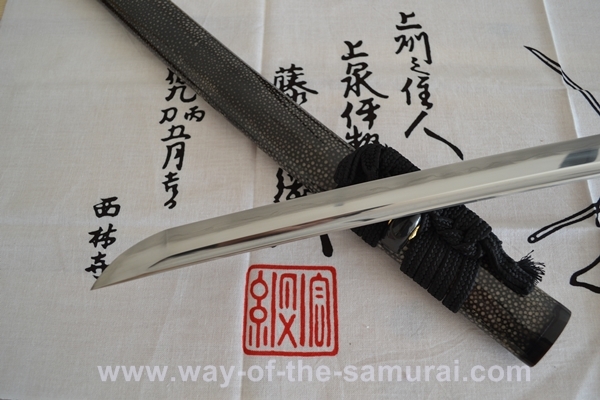 The saya is black lacquer with a fantastic full same wrap. This means the entirety of the saya has been wrapped in ray skin. The ray skin, applied wet, dries and tightens around the wood of the saya, reinforcing its strength. The ray skin, which naturally bubbles in its texture, is then sanded down and the whole length is lacquered, sealing it and making it water proof. 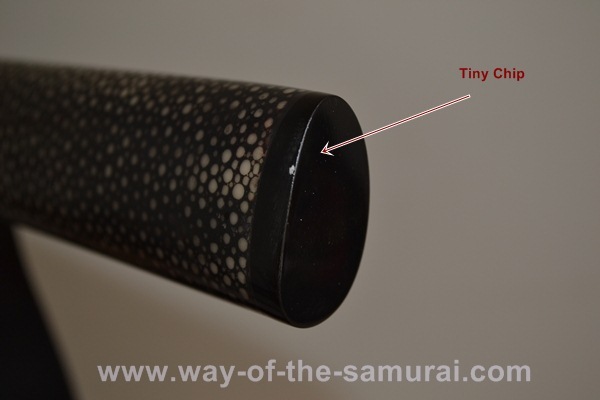 The saya is longer than the length of a ray and so two pieces are used. The trick with this is ensuring that both pieces match up seamlessly and that there is no overlap - this is quite tricky as the ray is often cut when wet and as it dries tightens, thus it takes great skill to cut in such a way that the ends of the same seamlessly match. This saya has easily succeeded in that goal. The full samegawa wrap evokes the bubbles of air silent moving in the depths of jet black sea, deep, strong and silent and contrast wonderfully with the powerful torrents of water and the crash of waves of the tsuba. 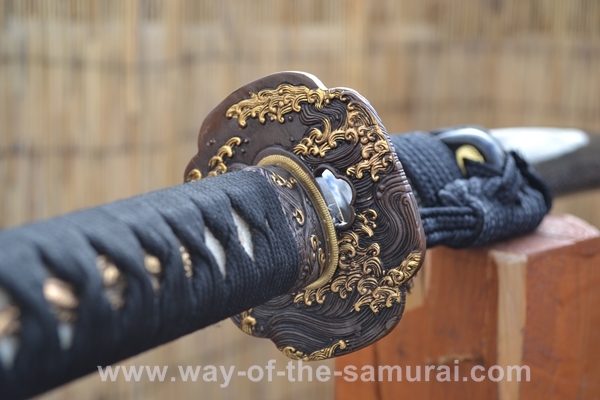 The Saya is complemented by deep brownish ruby red buffalo horn mounts on the kurikata, the koiguchi and the kojiri. On closer inspection there is one tiny chip on the kojiri. 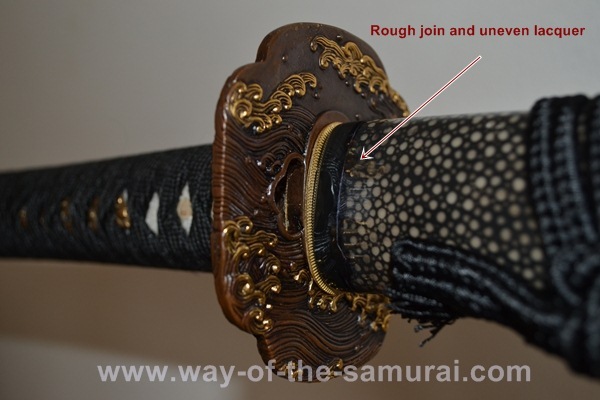 There is also uneven lacquering and in fact small hair line crack between the buffalo horn of the koiguchi and the saya itself..
Would I note this, if I wasn't being extremely fussy for the Ronin Katana Hammer Forged Blade Review? Probably not. 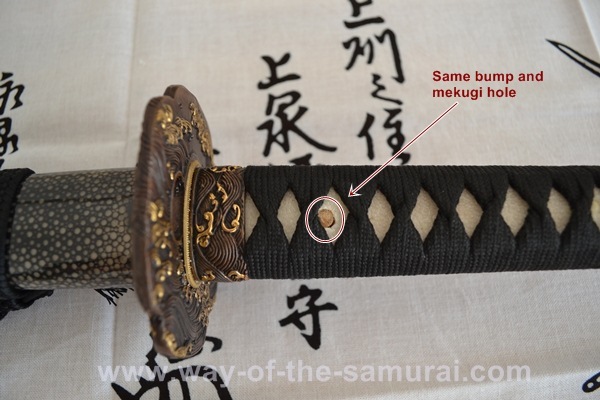 The attachments of the buffalo horn to the say at the kojiri and koiguchi are a little rough in patches but only on close up inspection. This is very interesting. 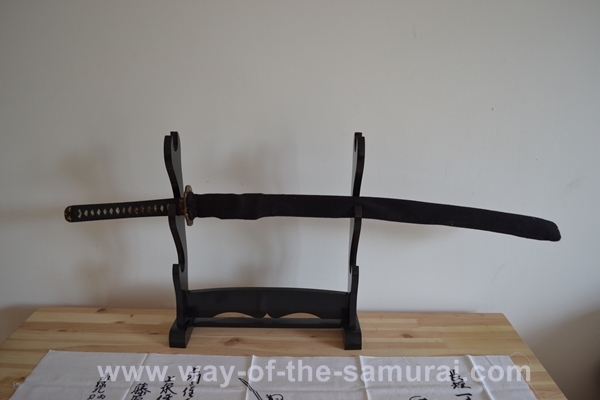 It's is ergonomically designed as are all the Ronin blades - however - I'm not sure about this one - it's seems bottom heavy, particularly when viewed looking at the mune or the ha. 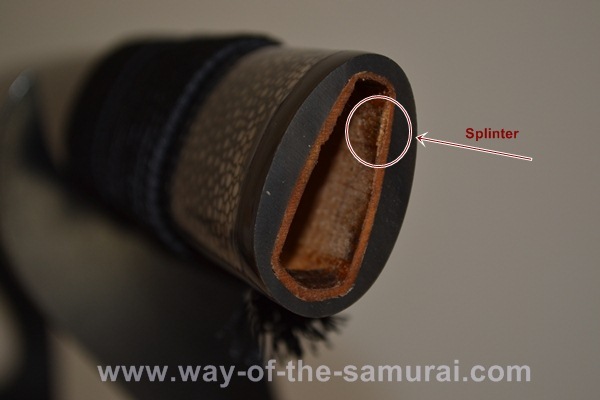 Firstly a tsuka often tapers from a thicker end near the tsuba curing gentle in on the side of the ha tapering towards a narrower end near the kashira. Concerned that my eyes were playing tricks on me, I measured the circumference of the tsuka at both points, just below the fuchi as just above the knot of the kashira - there was a 0.2" swell at the kashira end. It's carved in a specific style known as Ryûgo (立鼓) / (Rikko). This is an hourglass-shaped formation, with the central part of the tsuka naturally curving inwards on both the ha (cutting edge) and mune (spine) sides. This offers a very pleasing and secure grip from multiple positions. This level of attention to detail is unusual as in most production blades we have the Imogata (芋形), the "potato shape" (which is odd as it doesn't look like potato). In this case the tsuka is totally straight on both sides. This presentation is very common on low end mass produced wall hangers. However, what certainly is a fault, though again a minor one is the punching through of the mekugi. These appear to be fairly solidly hammered in, which is great in many respects (the blade is certainly secure) - unfortunately in so doing the same ray skin had buckled and cratered around the mekugi hole and exposes some of the wood. This is a concern as it could allow moisture in to the wood of the tsuka and overtime, could weaken the structural integrity. The menuki on this sword feature a long swirling dragon, similar to the Elite but without the powder black ground and as such there is lower contrast and distinction of the casting as opposed to those seen on the elite, however the level of detail on this menuki is better than on the Elite. The habaki is equally artistically delivered, featuring an elegant and time consuming hand etched cat scratch motif. 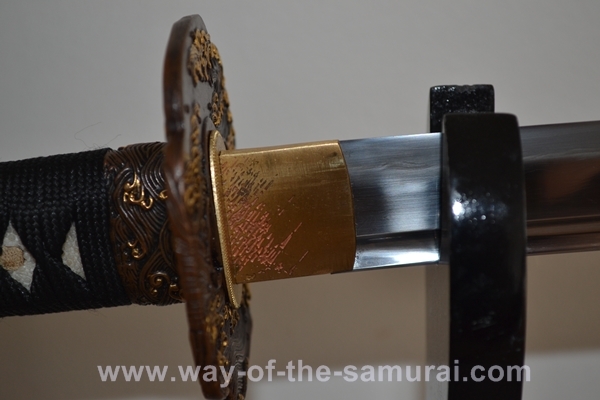 The fit of the habaki is excellent - it does not touch the sides of the blade, leaving the faintest line of separation, and is firmly kept in place against the habaki notch of the blade itself. 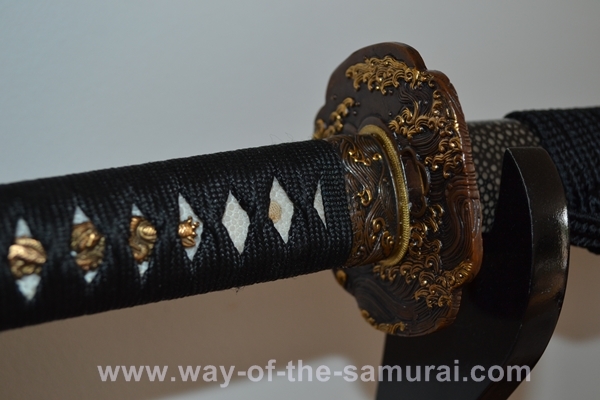 It tightly and securely fits the koiguchi of the scabbard. One of the best I've seen. The Tsuba, is remarkably. One of the most beautiful and well crafted tsuba I've seen, dimmed slightly by the tarnish from the poor packing during transport. Artistically it's absolutely magnificent, intricately detailed, I've spent hours starring it and consistently find a new feature to delight me. In fact, this tsuba, along with what I could see of the blade was what drew me to purchase this. It's one of the high points of this Ronin Katana Hammer Forged Blade Review. The tsuba is made of brass in the Mokko Kogai style, these are four lobed in appearance and derive their name from the cross section of the tree melon. 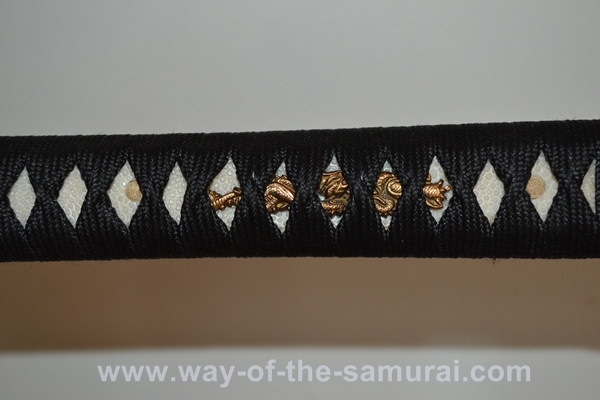 The Ito is black silk, it's tight for the most part and hand bound in the Hishigami style. The Hishigami method involves using little paper triangles, traditionally made out of rice paper, that are inserted into the folds of ito to reinforce the shape of the “diamonds” during the use of the sword. The strands of the cord are criss-crossed over to make these diamonds. The purpose of which is to secure the grip on the same (ray skin) underneath. As with the Elite...it's a little loose in key areas around the menuki which allows them to slide too much. In addition I find the diamonds are too small and a little uneven to allow proper purchase of the blade. I'll be re-wrapping this at some point as I will the Elite. Now....this is THE most important of this sword for me...the blade is the heart and soul of a sword. 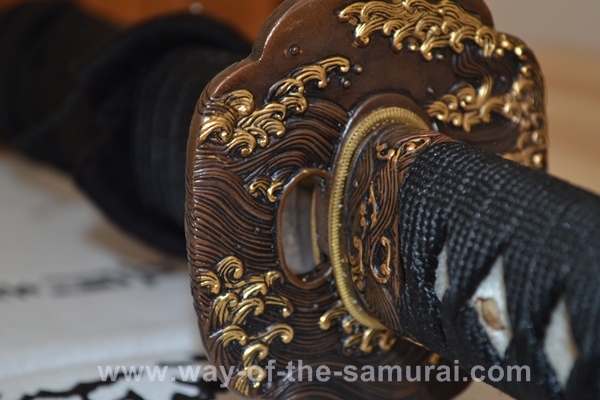 You can change the fittings, the tsuba, the tsuka can be re-carved and re-wrapped but the blade IS the sword. You can't change that and still say it's the same sword. This Hammer forged, folded, and differentially hardened 1095 blade in particular was a concern for me....one of the appeals of having a mono-steel folded blade is the jihada - the grain pattern caused by the folding process. There are many types of jihada or just hada and each is as individual as the swirls of a fingerprint. It requires a excellent polish to show the fine lines of folded metal that creates the hada's pattern and depending on the nature of the hada itself it may be hard to detect. There are straight Masmame lines, there are swirl like fingerprints of Ayasugi or the confused squiggles of the Mokume style.. ..and more between. Often the hamon, the line caused by the differential hardening of the clay upon the blade dictates the hada - and I'll be using this as my guide for this blade, because sadly - the hada is nearly impossible to see. In fact, it's so hard to see any, that on the occasions I do glimpse it, I'm fairly confident that's its wishful thinking. This may be due to a less than excellent polish, it may also be due to poor folding. 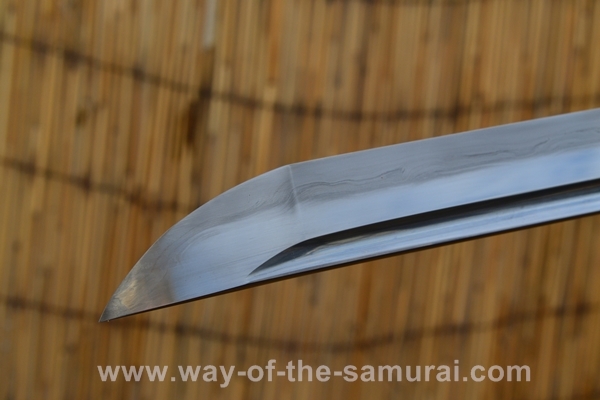 This blade I "think" (because I honestly can't see) features a Mamame hada - which is supported by the beautiful hamon that runs along the blades cutting edge. ..and the hamon is truly beautiful. 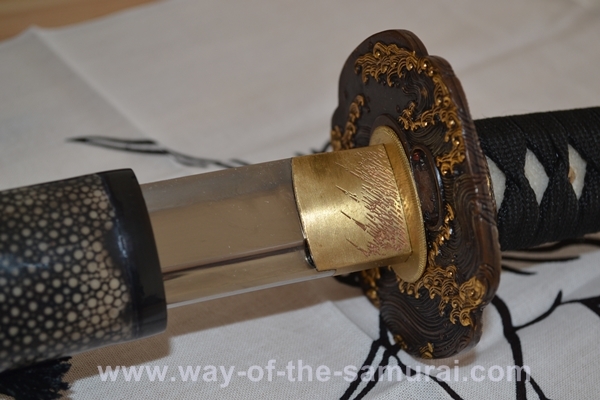 Luckily, unlike the Elite this blade was straight - like the Elite - there is still a problem with the blade - it has buckled at the intersection of the yokote and the ha. 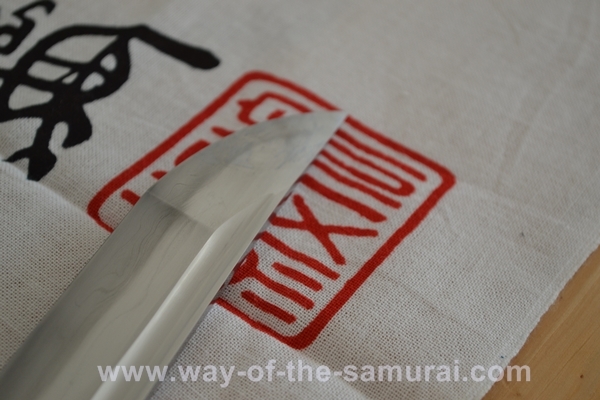 The yokote is the line differentiating the kissaki (the fan shaped part of the blade tip) from the rest of the blade. Ideally, this should be smooth transition, tapering towards a refined and lethal point. Unfortunately at the point of the yokote the blade swells into a small bump the cutting edge before curving to its terminal tip. Is that a big deal in terms of its function? No...Does it annoy me every time I see it - YES. 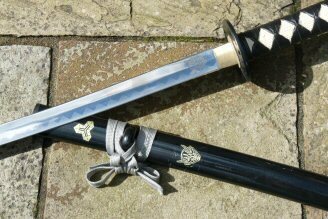 Would I note this is I wasn't being very strict for this Ronin Katana Hammer Forged Blade Review, yes I would, but I'd get over it quickly. That said the rest of the kissaki is well formed. This blade is straight and true. It feels solid, though not with the sense of weight the Tori Elite has, but then again that perhaps is a positive, it my make it more manoeuvrable. Sadly I didn't get to do much cutting with this blade - I ran out of mats. I did a complete cut on a single mat Tatami Omote, soaked for 12 hrs. And it was excellent, no sense of resistance at all. I've discussed the matter with Chris and the hammer forged line hasn't been tested against harder targets such as bamboo. 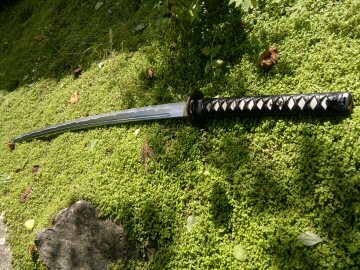 However the blade is a differentially hardened 1095 steel blade, and as such should, theoretically perform in line with other katana made from the same steel. A "sock" instead of a sword bag. I'm being really, really, REALLY fussy calling out the issues with the seppa, scratches, wrap etc. The only genuine issues are the polish and the ever so slight bump on the yokote. And then, they are still tiny in the overall sense of the thing. The fittings, the hamon, the blade overall is STUNNING. 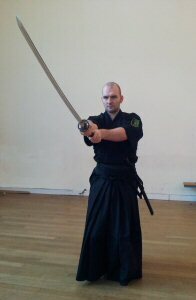 The more time I spend with this sword the more enamoured I become. It's REALLY grown on me. This IS one of THE BEST production blades I have ever held. Now...there's the Tori Elite XL Light...to date my favourite production sword out there. The Tori Elite is OVER twice the price of the Ronin Hammer Forged Katana...the Tori's blade is heavier and wider, the hada is much more prominent, and it's a more dynamic cutter. The Ronin Katana Hammer Forged Blade Review has noted that the Ronin blades is silk wrapped and needs to be re-wrapped, whereas the Tori has an excellent leather wrap. I cannot believe there is a blade this good out there for under $900. If the Ronin Hammer Forged was priced at $1500 it would be great value. .....By the way...as a side note, for my money - the Ronin Hammer Forged Katana beats the crap out of the Ronin Elite in terms of quality and construction....if you can, get a Ronin Hammer Forged Katana over the Elite any day of the week and buy two of them on a Sunday.